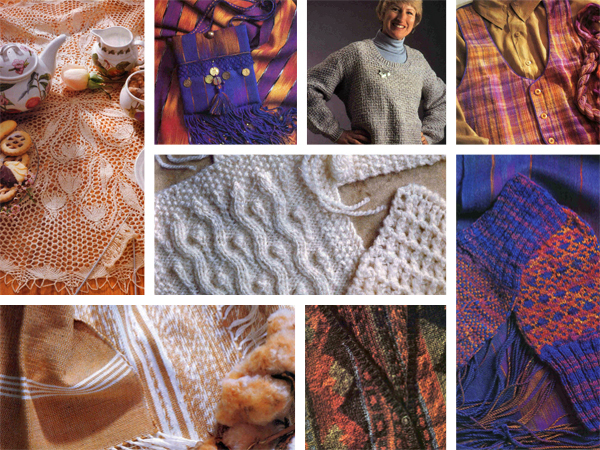 Spin-Off Fall 1996 digital magazine takes a look at growing, preparing, and spinning cotton as well as working with color. Experiment with color in your spinning! Kerri Keeler Piette will take you through a color study. Sara Lamb discusses silk and color. Finally Erica Heftmann shows you how to develop your color skills with helpful diagrams and illustrations of the color wheel. Excel at spinning cotton! There’s everything you need in this issue to spin cotton. Start with a look at growing cotton and advice on looking for cotton to spin. Then learn about Gladys Clark and the Acadian style of spinning cotton from the hand cards to the wheel. Stephenie Gaustad gives an overview of your cotton options. Then get the answers to common questions about spinning cotton. Finally, check out the Handspun Gallery of Cotton which features doilies, placemats, a blanket, a sweater, and more. There’s still more in this issue of Spin-Off. Nola Fournier takes a closer look at Texel fiber. Jill Turner discusses flax and silk noil. Get helpful tips on avoiding color streaks in your spinning. Plus, don’t miss the great projects: there’s a hanger cover and sachet bag, a mitered knitted t-shirt, and a “Sanquar Check Devolved” vest. Be inspired by spinners from all over the world. In each issue, you’ll meet spinners with unique stories to tell. Explore a variety of spinning techniques. Get an up-close look at piles of gorgeous handspun yarns and learn how to make them for yourself. Test your spinning skills with projects that use your handspun yarns. This issue was scanned from an original print issue.